Air Bremen was active between 1988 and 1990. From the home base Bremen, the airliner offered flights to Brussels, Paris, London, and Copenhagen. 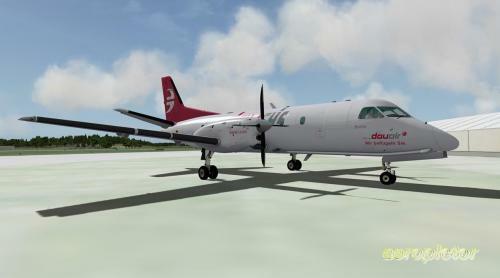 It operated up to three Saab 340. The livery shows the second one with registration D-CHBB. It was created using the paint kit by Leen de Jager. It was really hard to find high-resolution pictures, but I tried to make the livery as good as possible. If anybody can share pictures of high resolution, in particular of the logo and the lettering, I can make an update. Artic Airlink operated the flight connection Luleå – Oulu – Tromsø until May 2018. The line could no longer be operated, as the flight operator NextJet declared bankrupcy May 16. This was the end of one of the few direct connections in Artic Europe, linking the cities of Oulu (Finland), Luleå (Sweden) and Tromsø (Norway) without the need to transit via the countries capitals. 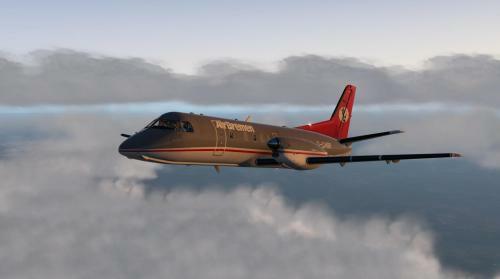 With this livery you can continue to link directly the Northern parts of western Europe, with the original aircraft, the SAAB 340, the ideal aircraft for those regions. All logos and design elements were used according the fair use rules. Any comments are welcome. Wishing you pleasant flights and safe landings. 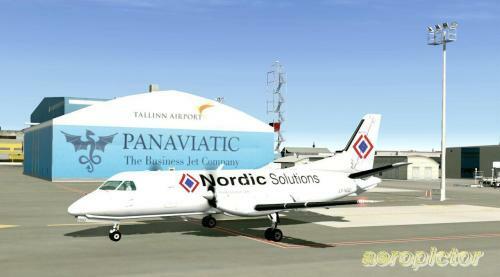 FlyEst http://www.flyest.eu is part of AS Airest an Estonian private airline etablished 2002. FlyEst ES-LSF started to fly passengers 2015 and operates now on Nordic routes. I publish this livery which I made more then a year ago upon request of a member of the forum. Contact me through this website’s messaging system. DauAir was a small company operating from 2005 to 2006 between Dortmund and Berlin Tempelhof as well as to Poznan, Zürich, Warsaw. It stopped flying 2006 after loosing its licence. You can still today safely use this German registered SAAB. This livery was made some time ago upon request of a forum user. I make it now publicly available. Contacts through the messaging service of this website. This livery was made some years ago and was never published before. 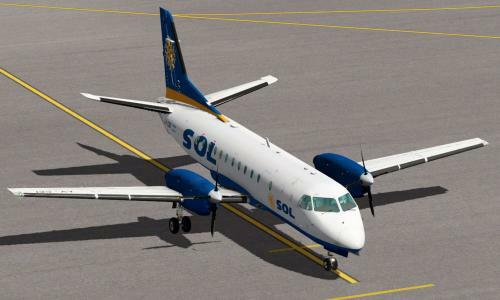 Looking for a non military Nordic livery for the SAAB 340 Cargo, I found some image of a nice SAAB 340 who belonged to the Lithuanian cargo company Nordic Solutions. A simple logo, quite effective … I hope you enjoy this livery. 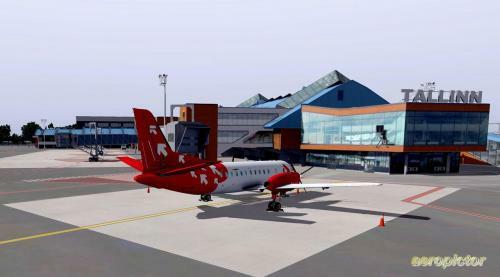 I took the screenshots at the Estonian capitals airport Tallinn and around Europe in X-Plane 10. The livery is useable in X-Plane 11. Expand the archive and move it to the livery folder of your LES Saab 340 Cargo variant. Safe flights! 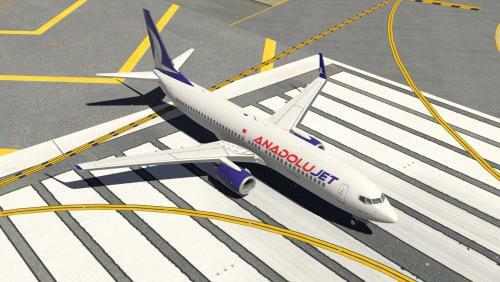 AnadoluJet is a trademark of TURKISH AIRLINES. AnadoluJet Painted by Nevzat OLUM. 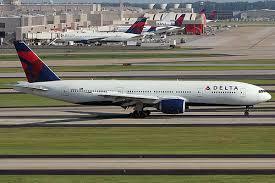 Delta Operates both 777-200LR and 777-200ER. Flight factor's 777-200ER has both RR engines and PW engines but the Delta livery works but this livery has white engines on the RR 777-200ER option but the PW is blue. Delta operates the 200ER with RR engines so I decided to add RR engines for this livery. This is the new low cost airline of gruop IAG. The first flight will be the June 1st from Barcelona to Los Angeles. Pd: in a few days you could see a video with this texture in my channel! Used Leen De Jager paintkit, excelent job! THX! 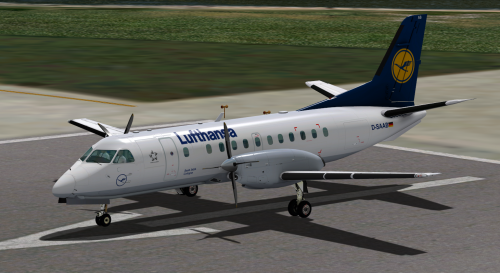 Fictional Lufthansa Livery 4096x4096 textures for Saab 340 by L.E.S. Thanks to Leen "Flybike" de Jager for his permission to use his exceptional paintkit. Place the unzipped folder in the liveries folder of the aircraft. Aer Lingus Commuter EI-CFB 4096x4096 textures for Saab 340 by L.E.S. Aer Lingus Commuter EI-CFA 4096x4096 textures for Saab 340 by L.E.S. 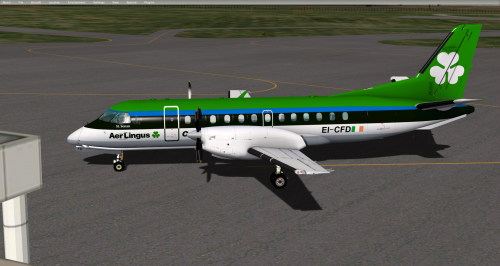 Aer Lingus Commuter EI-CFD 4096x4096 textures for Saab 340 by L.E.S. Aer Lingus Commuter EI-CFC 4096x4096 textures for Saab 340 by L.E.S. This is Aer Lingus' latest aircraft, a 767-200 leased from Omni Air International and based in Shannon (EINN/SNN). It was originally delivered to Continental Airlines as N67157. 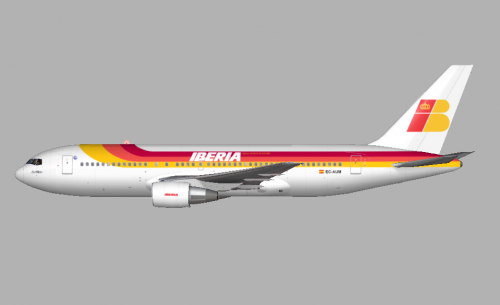 This is an Iberia livery for the 767-300ER by Michael Chang. Iberia operated this aircraft (EC-GTI) from the late 90s to the early 2000s. 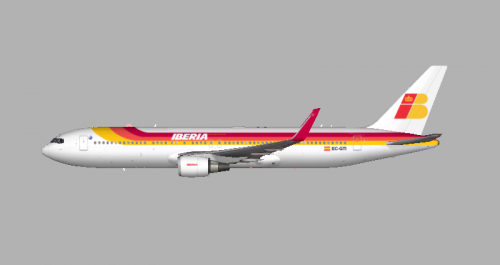 This is a fictional Boeing 767-200ER Iberia livery. The registration EC-AUM and the name Zurbarán both belonged to a DC-8 that Iberia operated. 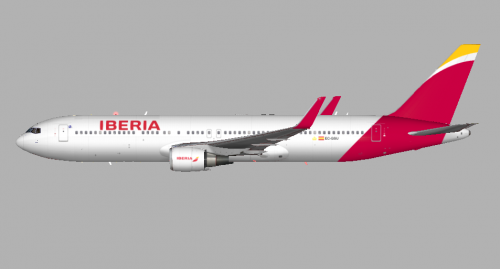 This is a fictional Iberia livery for the freeware 767-300 ER. 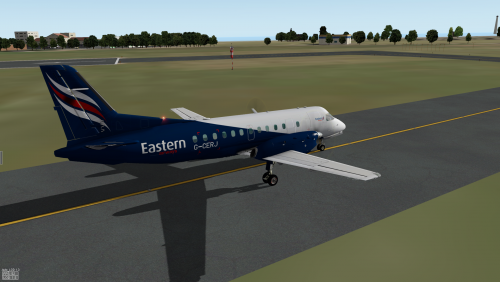 Here's a repaint for the awesome Saab 340 from LES. It's my first repaint and I wanted to do something Swiss. I fly around Zurich a lot and I really like the Swiss cross on the tail fin. This repaint is of Crossair HB-AHA. It was delivered to Crossair in 1984 and was part of their fleet of regional aircraft that flew between Basel, Bern, Geneva, Lugano and Zurich. This particular aircraft was put out of service in February 1990 when the landing gear was retracted on the ground during a training exercise. There were no locking pins in place and it caused irreparable damage. 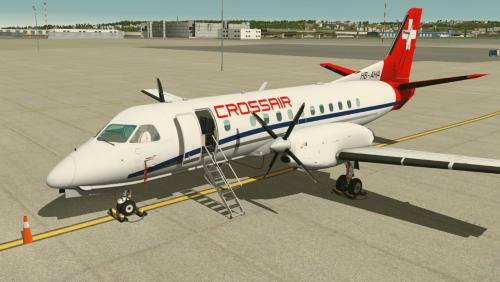 Crossair had been growing quite well during the 70's and 80's which made Swissair, the national airline, quite nervous. During the late 80's Swissair were purchasing more and more shares in Crossair and eventually owned about 60% of the company. Because of this, I've included a Swissair branded GPU in the livery. It also has a logo light for the tail fin. Now you can fly with the correct colours when you do those regional routes in Switzerland! 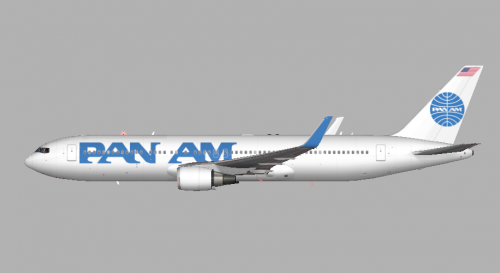 This is a fictional Pan Am paint for the 767-300ER by Michael Chang. This is a fictional livery for the 767-300ER by Michael Chang. 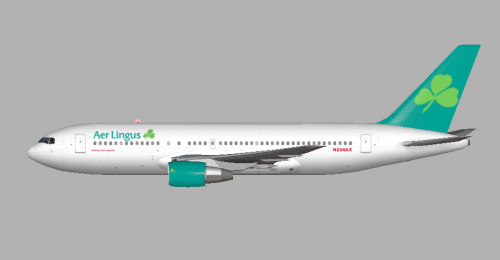 This is a fictional Aer Lingus livery for the Boeing 767-300 by Michael Chang. Visit jettodesigns.co.uk for more of my creations, or read my blog on flight training at CTC Aviation! Hello all! Here for your US domestic flying pleasure is N607NK owned and operated by Spirit Airlines. 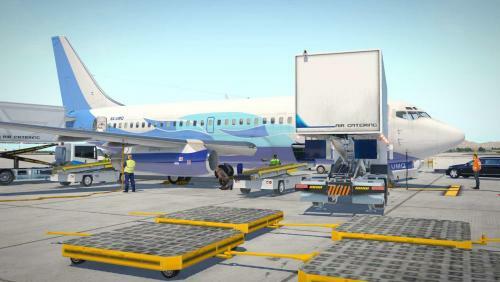 This livery is for the payware Jardesign A320 To install: Simply drag drop the "Barefare_Spirit" folder contained in this zip file into your JarA320/liveries folder THEN ---->>>>> Drop the "engine_plates" file into your JarA320/objects folder Enjoy the spirit!